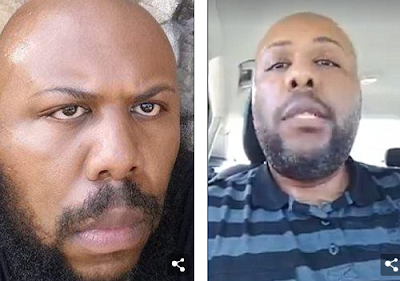 After two days on the run, Facebook killer Steve Stephens' reign of terror came to an end on Tuesday, thanks to the bravery of two McDonald's employees. The workers, who haven't yet been identified, spotted Stephens, 37, as he pulled into their drive-thru on Buffalo Road in Erie, Pennsylvania, at around 11am. Recognizing him as the man who shot dead Robert Godwin, 74, on Sunday, they delayed him long enough for police to arrive and give chase - leading to Stephens' death by suicide. Now if the police have their say the workers will be splitting a $50,000 reward. Technically the money - which was pooled together by the FBI, ATF and US Marshal Service - was only for those who led to Stephens being arrested. But we hope they still get it.